Benebone is a chew toys made of super-strong nylon and food-grade bacon, peanuts, and chicken. There are no chemicals or artificial flavors. All Benebone products are made in the USA. Benebone Dental Chews come in two different sizes – Mini and regular. 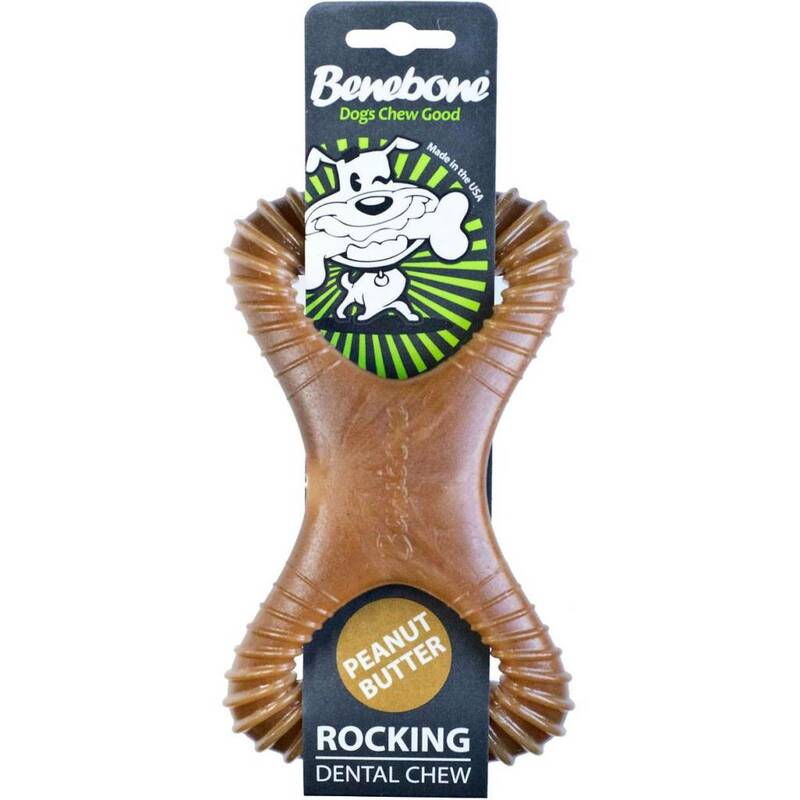 The Dental Chews have deep grooves to help clean the dogs teeth while he enjoys the scent and taste of the benebone! Recommended for dogs under 30lbs. Recommended for dogs under 60lbs.